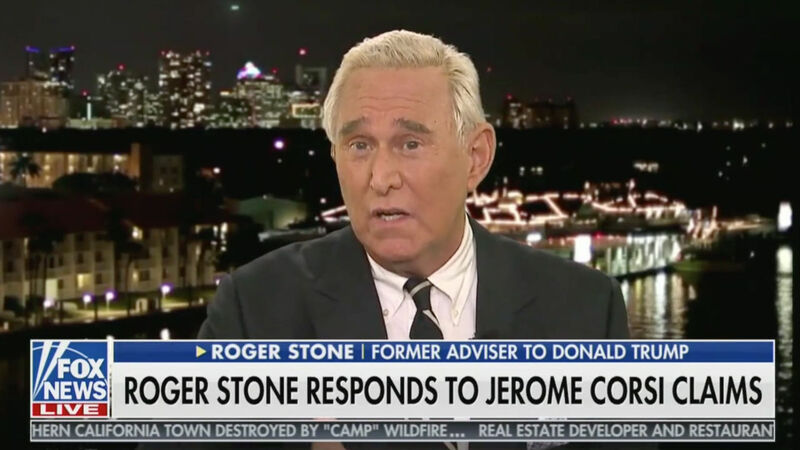 Referencing Corsi's claims against him, Stone said: "It shows what happens when you hotbox a 72-year-old man for 40 hours as the Mueller interrogators did." 'I just think it's sad that he's been pressured this way to bear false witness against me," Stone said. The issue is his mentioning Podesta.